Projects – Redwood Engineering Ltd.
View some of our projects. 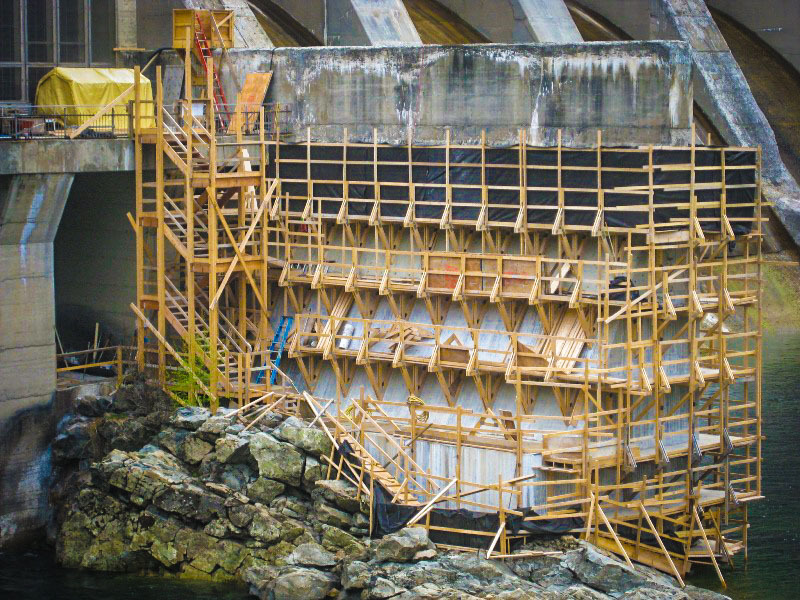 Our primary clients in the major industrial sectors of the region include Teck Metals Ltd. (smelting and refining), FortisBC (hydro generation), Zellstoff Celgar Ltd. (pulping), BC Hydro (hydro generation), and Roxul Inc. (insulation manufacturing). Redwood also completes engineering projects for individual residents, municipalities, and local businesses. 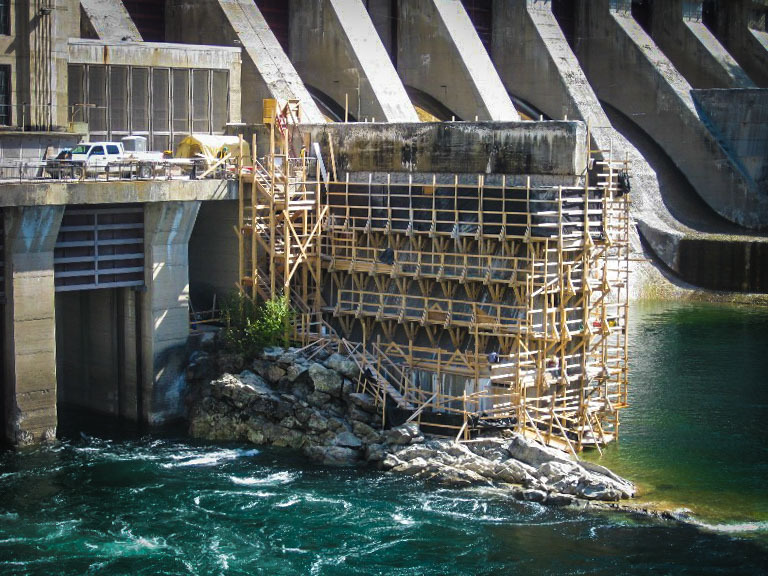 Redwood has been involved in several concrete rehabilitation projects at generating facilities in the Kootenay region. Projects generally start with studies to visually appraise concrete structures and report on recommended rehabilitation priorities. This leads to engineering design and scope of work preparation for repairs along with pre-construction cost estimation, scheduling and project planning. Quality control inspections, safety audits, progress updates, and deficiency reporting are all carried out during the construction phase of each project. 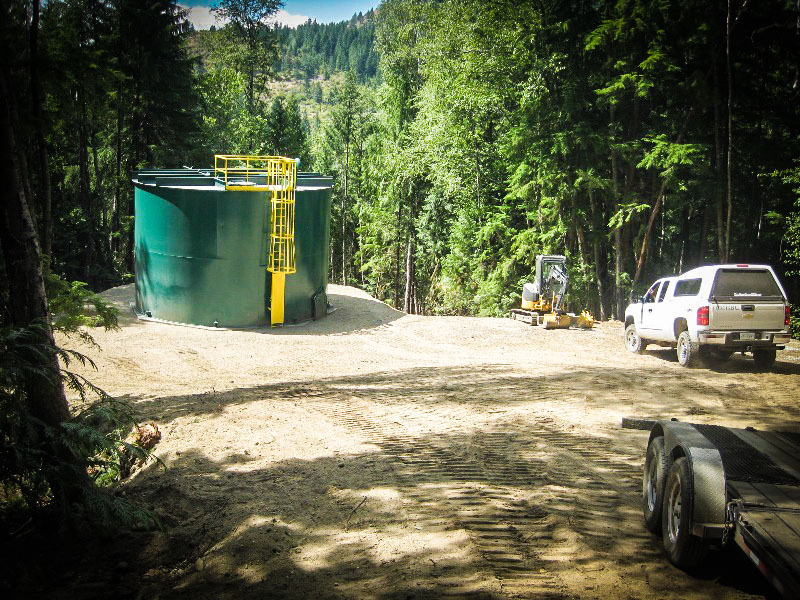 Redwood was consulted to provide services for the order of magnitude estimation, feasibility study, design, and construction management of a new hot stage tank as part of a purification process. 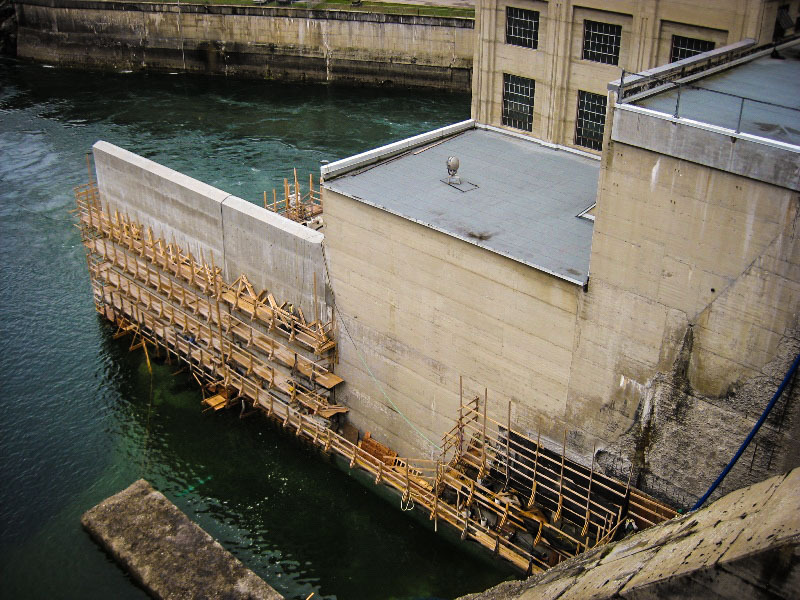 Project design involved multiple engineering disciplines including geotechnical, structural, mechanical, piping, electrical, instrumentation and specialty tank engineering. 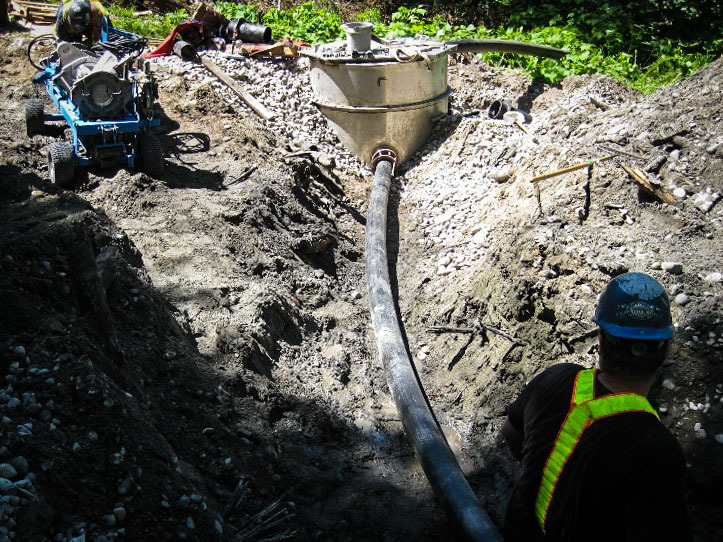 The geotechnical and tank engineering was outsourced to consultants available to Redwood Engineering. Redwood Engineering provided services for the estimation, feasibility study, design, and engineering of a tank cluster for the storage of Aqua Ammonia. The project included plans for demolition of two existing tanks, design of a structural support frame for the new tank system, design and layout of all associated piping and pumping equipment and the layout of an auxiliary tank. Redwood Engineering provided estimation, engineering and construction services for a two phase rebuild of a heavy structural steel platform for holding an operating excavator. Engineering and construction planning were arranged around strict construction schedules, organization for day and night shifts, and quick turnarounds to reduce risk of downtime in the event of equipment failure. Redwood Engineering was consulted to provide design and engineering support for the installation of a new boiler feed water line to supply existing steam desuperheaters. The project involved the design of a NPS 6 pipe run between an existing NPS 10 boiler feed water line and two desuperheaters. 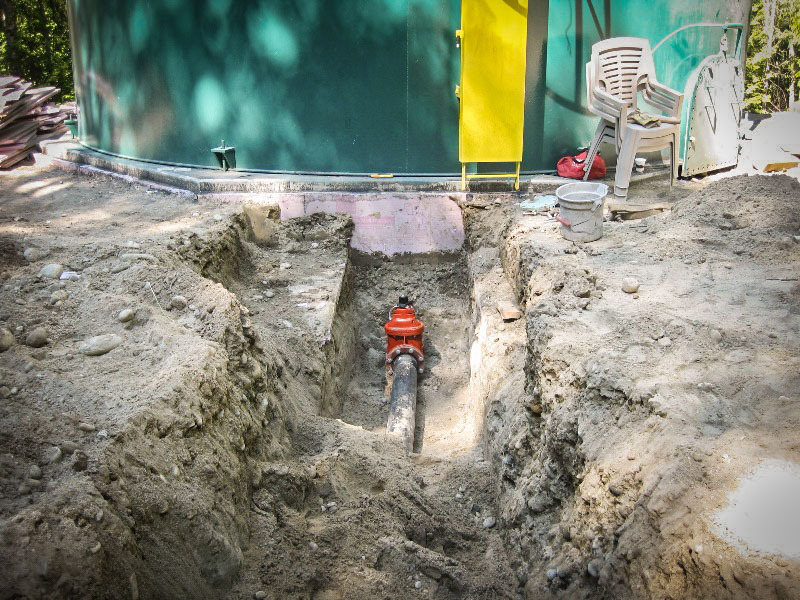 The design package included arrangement and pipe isometric drawings, design for a new valve station, and a finite element analysis from an engineering company available to Redwood that specializes in piping design. The line was registered with the BCSA as part of the project. Redwood Engineering was consulted to provide design and inspection services for a 50,000 gallon fire suppression water storage tank. The project included design of upgrades to 1 km of an existing gravel road for construction access. 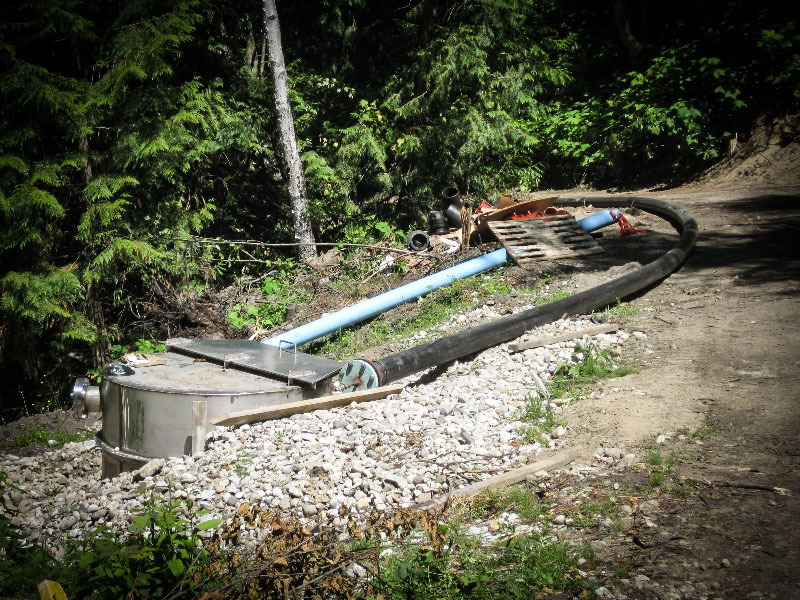 Design of waterline connections from the storage tank to a detention pond and screenbox, as well as to an existing valve box and fire suppression lines were carried out to municipal, API and AWWA standards. Construction phase work included quality control supervision. 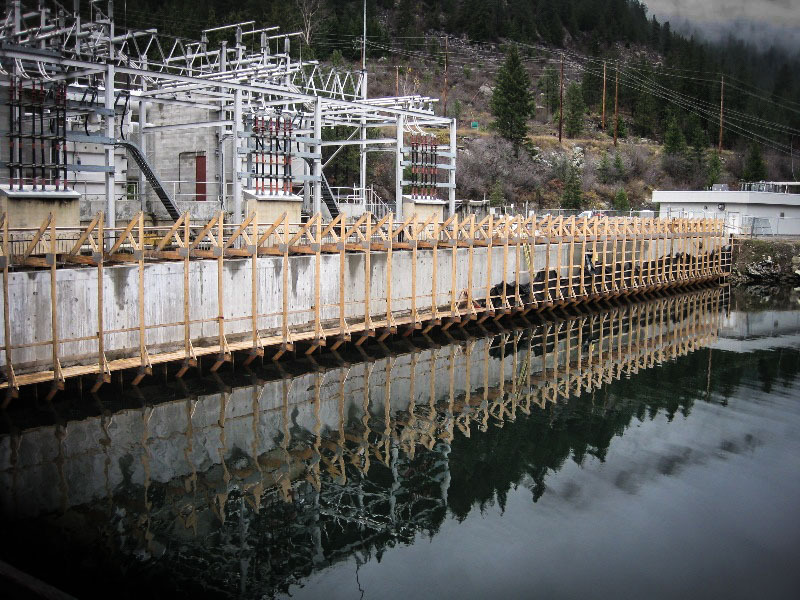 Redwood Engineering has completed design, engineering and quality control inspection services for several electrical substations throughout the Southern Interior of BC. Work on these projects generally included site preparation and grading, access road design, storm water drainage, structural steel and foundations, field reviews and quality assurance. Redwood Engineering was consulted by a local contractor to analyse site conditions and design a frame and shoring for a 60 tonne dewatering bin to be lifted in two phases. 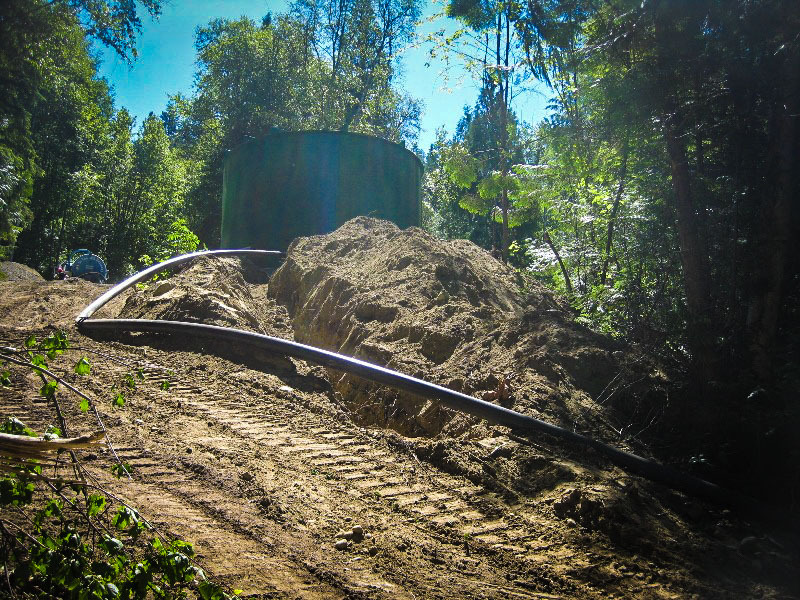 Redwood Engineering conducted project coordination duties during the horizontal directional drilling for the installation of an encased steam pipe that was run underground to avoid a set of rail tracks in the path. The project included oversight of multiple contracting companies during the design and construction phases, conducting site coordination meetings and safety audits, and assistance troubleshooting delays caused by ground conditions during drilling. Redwood provided estimation, engineering and project coordination services for the renovation of a refinery cell house basement. The project involved replacement of old structural framing to hold up refinery cells as well as electrical and piping rerouting and rework.